Southern California Copiers American SERVCO Imaging Systems and SoCal Copiers is an office equipment company that specializes in the service, repair and maintenance of Copiers, Printers, Laser Printers, MFP’s and Facsimile (fax) equipment. We provide on-site service and repairs for Canon, Panasonic, Ricoh, Hewlett Packard, Oki Data, Toshiba, Sharp, Copystar, Kyocera, Mita, Minolta, Lanier, Gestetner, Konica and Konica Minolta copiers, printers and fax machines. 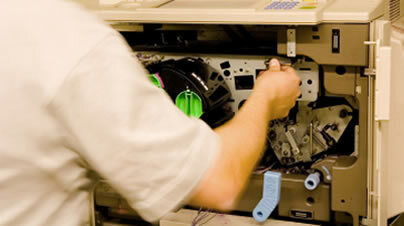 American SERVCO Imaging Systems / Southern California Copiers / SoCal Copiers also provides annual service agreements, maintenance programs and cost per copy maintenance for copiers, printers and facsimile equipment designed to help control the cost of repairs, maintenance and support related issues. Our copier, printer and fax service, maintenance and repair territory includes all of Los Angeles County, Orange County and the Inland Empire. If you are located in the Inland Empire cities of Riverside, San Bernardino, Fontana, Ontario, Rancho Cucamonga, Corona, Temecula, Moreno Valley, Montclair, Chino or Upland, please call us at (800) 870-9049.